In other articles in this series, we’ve covered at greater length access control readers, and mobile unlocks with either Bluetooth or NFC on iOS and Android. We’ve discussed the science behind these technologies, and looked at the cool applications in the field of modern access control readers. In this article, we’ll focus again on NFC, but this time with a look at its application in the field of smart door locks used for modern access control. While we’ll mainly look into Bluetooth enablement on smart locks, it’s worth noting that there are different protocols that power smart lock connectivity. There are three main options here: Bluetooth, Z-wave, or Wi-Fi. All three are fully wireless protocols, and can effectively communicate with other devices enabled with the same technology. We’ve covered these in another article on Bluetooth smart locks, so here we’ll simply review the Bluetooth and NFC protocols. Bluetooth is a bit less powerful, in terms of network load, although it will always be more than enough for smart locks. The one drawback is its range, which is usually limited to around 150 feet or less, meaning that you will need to be in its vicinity to unlock the door (you will not be able to unlock from, say, across the city). Beyond that, it is efficient in terms of power usage — requiring very little upkeep. Your phone actually speaks the Bluetooth language, meaning that you can communicate with it without needing any sort of interface. This is why it has become the network standard for all close-range wireless communication since its introduction. If you combine its power and sophistication with the fact that pretty much every modern device has a Bluetooth chip that can communicate with other Bluetooth chips, it’s really all you need. Along with Bluetooth, many smart locks these days are enabled with NFC chips, which are just a standardized set of rules applied to RFID chips. 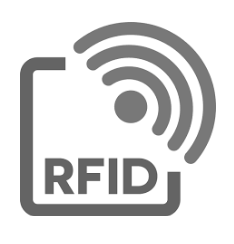 RFID stands for radio frequency identification, and essentially it uses radio waves to communicate identification information between devices. 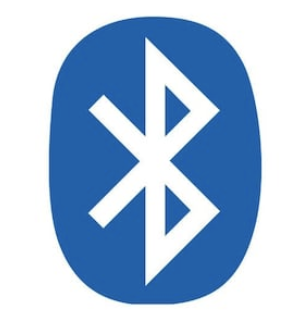 Much like their Bluetooth cousins, RFID chips require very little energy to be powered and are quite effective at communicating over short distances. For a more in-depth look at RFID tech, check out this article! Here, we’ll focus mainly on the newer NFC standard for RFID chips, and its applications to access control within smart door locks. As we’ve covered the science behind NFC tech in the article referenced above, here we’ll mainly discuss its applications in Smart Locks. Smart Locks have active NFC chips inside of them, meaning that they will need a source of power. However, since NFC uses such little energy, it’s enough to just have a couple of batteries in there, and you can forget about it for months or years at a time. On the flipside, though, since the NFC locks are the active devices, the tokens that you’ll use to access them don’t have to be active: They can be passive NFC devices, meaning that they don’t actually need a power source. The magic behind this is electromagnetic induction, and it means that the active device can use magnetism to transmit power at a distance to the passive device and prompt it to relay its NFC ID. In this way, NFC smart locks use clever bits of engineering to make the process of unlocking doors as easy and painless as possible. Given that the NFC tokens to unlock their respective smart locks don’t need an energy source, these locks can be accessed by any type of inert token, like key fobs or key cards. This makes it a much more sophisticated and secure solution than traditional metal keys, as these cards can be easily stowed in wallets, and assigned or unassigned from a web or mobile interface. However, handing them out is still a hassle, which brings us to the most modern application of smart tokens — smartphones. Your smartphone actually has an NFC chip installed in it (assuming that it was manufactured after around 2003), so given the right software, you can use your phone itself as a smart card for these doors. This is not a novel idea — we’ve covered it in another article here for smart access control readers. However, it’s noteworthy that the tech has become so universal that it’s extended to modern smart locks. Now that we’ve reviewed how they work, we’ll go over some of the primary use cases for these smart locks, and why you might want to consider installing them in your space. In any sort of large workspace, like a bigger company or coworking/shared workspace, there will likely be issues that arise regarding the shared use of meeting rooms. A busy meeting room can easily cause conflicts between departments regarding who is allowed to use it and when, particularly when people use the room without making a reservation or abuse the reservation system in general. Even with proper room booking software, issues will arise as there is no physical impediment to using the space, and at the end of the day, it’s tricky enforcing an office-wide mode of etiquette for the use of public meeting rooms. However, with smart locks the problem is eliminated: You can easily grant access to the room only to those who have it reserved, and deny access to people who would use it without a reservation. Given the wireless nature of these locks and software integrations with access control software like Kisi’s, the process is simpler than ever. Smart locks enabled with NFC chips allow for much more control over monitoring, and deciding who has access and how that access is granted and revoked. They share this advantage with modern access control readers, as they can both be controlled remotely from a web or mobile interface. You can easily see who has access to which access cards, and grant or revoke permissions. In addition, with their wireless nature and connectivity, these locks are able to provide real-time communication and feedback. This means you can review real-time activity logs. Organizations with high traffic inflow and outflow will definitely benefit from this. Such features can easily streamline daily operations and strengthen security. Since users are required to swipe in-app to unlock, this also presents opportunities for any facility or workspace management apps looking to drive usage and engagement of their apps. By requiring users to unlock doors through their app, the app will now become a daily necessity rather than an option. Finally, as the name suggests, wireless locks are totally wireless, meaning that the infrastructure required in terms of cabling and connections is greatly reduced. 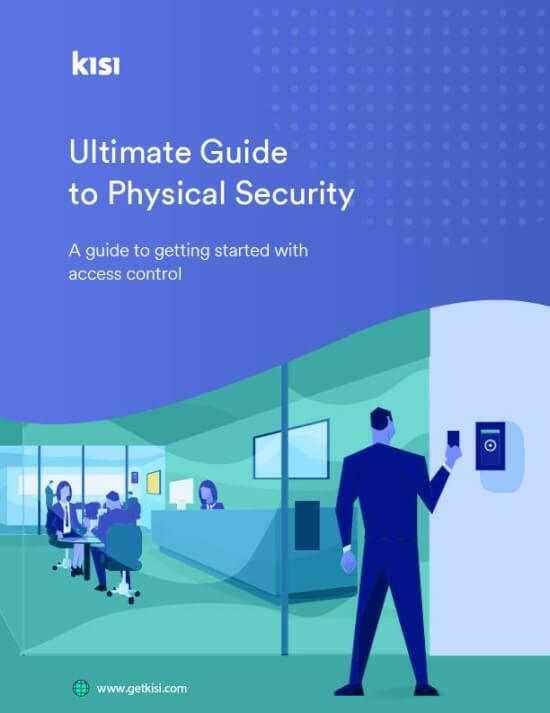 If you have the controller hub in an IT closet, you can easily deploy these locks around your facility without having to route wires through the walls. They can communicate with each other wirelessly, and communicate with access cards or smartphones via the NFC chip. With normal electric locks and smart access control, what you gain in power and efficiency is somewhat offset by the need to run wires through the walls and physically connect them to the smart hub. 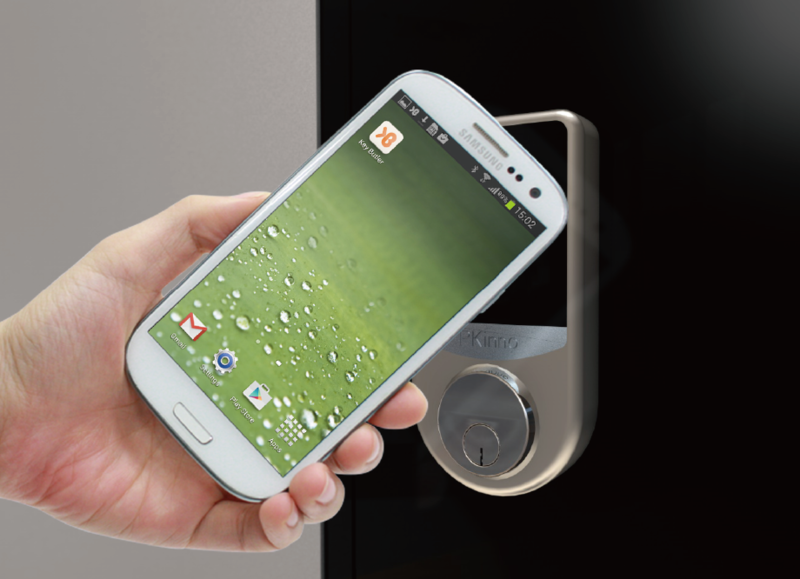 For all its innovation and inherent benefits, NFC locks do have drawbacks. The main limitation here, beyond the different use cases and compatibility with certain access control readers, is the fact that NFC chips aren’t as widespread as Bluetooth chips are. In addition, as discussed, NFC chips in smartphones are only really available in Android phones: Apple restricts the use of their built-in NFC chip to the Apple Pay functionality. As a result, NFC locks will never be compatible with iPhones, which limits their market penetration. With the power of modern access control software, and new wireless technologies, it’s easier than ever to secure your space in an aesthetically pleasing and user-focused way. 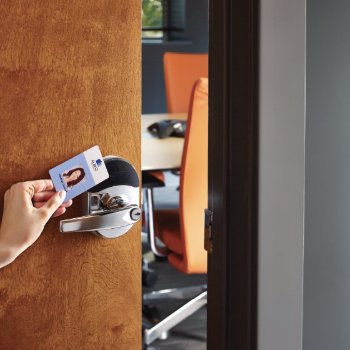 With a combination of readers and smart locks, any small, medium, or large office can tailor their hardware to their needs and provide a seamless unlock experience for admins and employees alike.